You’ve made your way to August. Where has the summer gone? It is only a matter of time before your kids are rushing out the door to catch the school bus and the fundraising brochures are making their debut on your kitchen table. Before the school bell rings, here are five ways to end your summer in beautiful Cocoa Beach on Florida’s Space Coast. Hotel pools are a good alternative to the beach when the little ones have had enough but still want to play. Make the pool fun with cool toys like colorful frosted doughnut tubes and rideable floats like a pizza slice or swan. The local surf shops stock many of these items and can be rented. Some hotels have waterpark elements like slides and lazy rivers that provide hours of fun without having to pay additional admission. The Kennedy Space Center’s Astronaut Encounter lets you to meet veteran NASA astronauts and learn about their involvement in the space program. Astronauts like Winston Scott, Bob Springer and Wendy Lawrence share their experiences in space as well as their journeys to become astronauts. Always wanted to know how astronauts get into their suits? 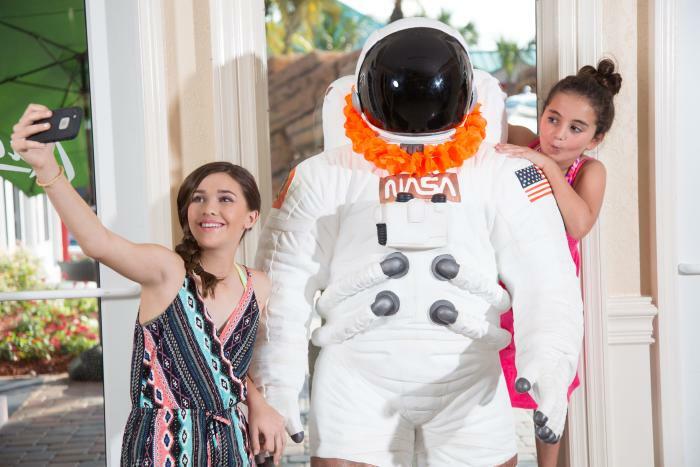 You can ask them how at the Astronaut Encounter and snap a picture with one of the astronauts at the end of the program. Lifeguards keep watch over the water where your kids will enjoy splashing and boogie boarding in the waves. You can take surf lessons from the Ron Jon Surf School or play volleyball on the beach. There are also a variety of family games just built for the beach with your kids from bocce ball to the newest craze sweeping the beaches, BUCKETBALL™. 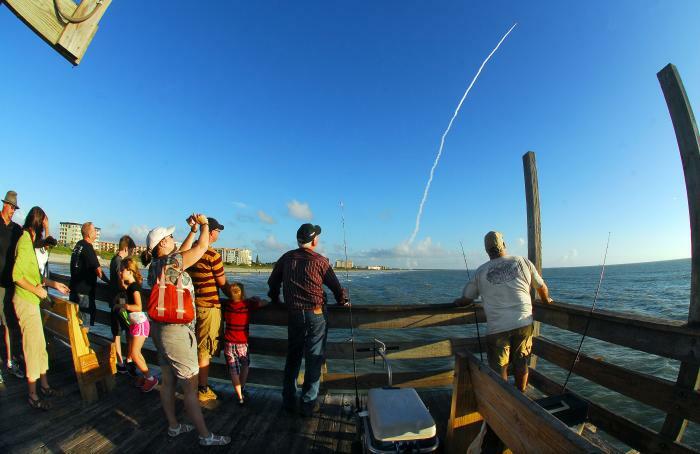 Cocoa Beach is a great place to watch rocket launches from Cape Canaveral. During the day at the beach, you can see rockets being transported to Cape Canaveral. Check the launch calendar for when you can feel and hear the rumblings of liftoff and watch the rockets soar toward space! Whether you experience the launch from the beach, in the water, or in the air, it is not a moment you will ever forget. Sit back. Relax. And enjoy the calm. There are many activities to do and experience in Cocoa Beach, but sometimes the best vacation is the one where you pull up a chair, sit back, relax and enjoy the calm.